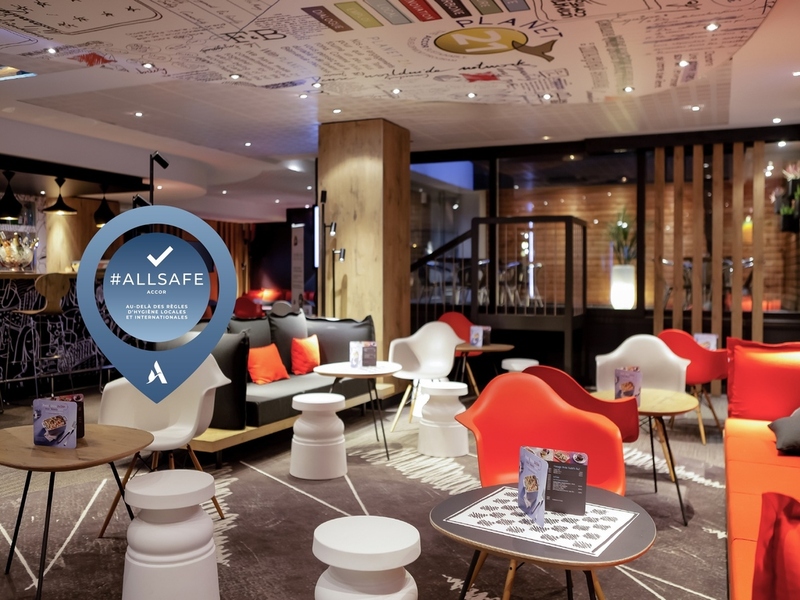 3-star hotel offering easy access to Lyon city center thanks to nearby bus (C9) and metro (line B) stops and a Vélo'V bike station. Get to Lyon-Saint Exupéry Airport in 30 minutes on the Rhônexpress, which is 7 minutes from the hotel. Discover Lyon with its many attractions, including the old town, the Parc de la Tête d'Or and the Basilica of Notre-Dame de Fourvière. Football fans will love the Parc Olympique Lyonnais Stade des Lumières stadium. Everything was like a have expected. Cozy and clean room. Well done breakfast. We were three people in the room and there was hardly enough room for 2 let alone, 3 people. It was hard even using the bathroom. This was an overnight, local stay, so we could catch an early train at 7AM. all good, only down was air con in room was off and weather was unseasonably hot, unable to open window as we were on first floor. room and bathroom both clean. breakfast and dinner both good. Very nice stay. Had actually two nights in one weekend there. Close to tram station (airport access) and not far from city center. Peaceful location and good service. This is my fourth time at ibis Gare la Part Dieu. And I may say that everything was great. We had a nice and quiet room, the staff is very kind and the breakfast was delicious. It is only 5 min walking from the station, which is much better because it is quiet and peaceful. No noises of trains! I definitely recommend this hotel! Thank you ibis for our lovely stay at Lyon! The hotel is situated very near the railway Station at Gare La Part Dieu , It is probably a seven minute walk to the station.The hotel is very modern in it`s design.My only complaint was that our sleep was interrupted by outside roadworks ,grinding ,cutting and all noise associated with road upgrades. There were no signs saying that this might happen . I understand that there is a huge development that is ongoing in that area but signage was non existent. The hotel was chosen because it is close to the main railway station and Rhone Airport express. Its location allowed either a good walk or the catching of the tram to the new and old city. The hotel was clean and comfortable and was very quiet. Staff were helpful and friendly. My wife and I stayed over Christmas and we were made very welcome. A very nice experience overall. The bed was extra cosy. A lovely stay with great staff who were very very helpful and friendly. I was searching for an hotel close to the railway station and I am used to stay at some AccordHotels. I was astonished of the price per night (165 € including breakfast) when considering the confort (very small rooms. And I was not expecting to have more confortable rooms but asssociated with much more moderate prices. I no more go in that this Hotel for my next stay in Lyon. But I want to point out the welcome of the personal very Customer oriented. Ok, first room 212 had to be changed in the middle of the night as sauna. Bathroom also out of ibis standard and without any cover. Reception and service were good!